Starting Tuesday, July 3 2018! Chabad Jewish Center Upper Passaic County is proud to present our Torah Studies catalog of classes for Season Four. I invite you to browse through the topics in this catalog and to join us for some weekly inspirational study. These classes are open to all, whatever your level of learning may be, and I encourage you to bring your friends along. We all long for that vacation: sandy beaches, crystal blue waters, and picturesque mountain peaks. And then we look at the drab, grey office walls and our world goes dark. Is there any way to get the feeling of waking up in a hut on stilts in French Polynesia, while stuck in suburbia doing the same old, same old? In this lesson, we will find out how. Ever felt that you’re trying to do the right thing, yet everything is lining up against you? Is nature itself your adversary? Heaven forbid! A complex story of returning warriors and desert taxation reveals the encouraging message that when all is said and done, G-d is orchestrating everything to help you out. Thousands of years after she lies in ruins, the Jewish people still mourn their holy Temple. Hasn’t that window closed already? Can we really be so pained so many years later? The sages’ take on the proper method of grief turns this mourning into a propeller for growth and a look toward the joy of tomorrow. "Comfort, be comforted, my children," declares G-d. Sounds great, but what’s the mystery of this double comfort? From the ashes of a sacked Temple to the ruins of our own lives, discover the balm for your aching soulâ€"the secret to grabbing those tests and slaying them forever. When Moses descended from the mountain with the tablets in hand, he was met with a horrific sight: a nation gone mad. Horrified, he smashed the tablets to smithereens. But he knew about the carnage already on the mountain, so what changed when he actually saw it? Discover the secret Moshe saw and use it as a cautionary tale in your own life. Oftentimes we wonder what life would be like without working another day. Why do we have to work so hard anyway? Is there any point to all this toil and sweat? Of course there is: it is, in fact, your only chance to be just like your Creator. Relish it. A prevailing custom in many Jewish communities is to leave the hair of a young boy uncut for his first three years. The first haircut is celebrated with joy and fanfare. What is behind this mysterious custom? Not so surprisinglyâ€"a lot. And it’s not just for kids. How does that sound? Not the expenses of course, but the honeymoon. Sounds great, no? It does, but the reality is that every day is certainly not the wedding day. The hair-splitting genius of an early twentieth-century European Talmudist uncovers a fascinating idea about marriage that should help reignite that romantic spark every day. Do you find your emotions difficult to contain? Welcome to the human race, my friend: the heart is a wild thing. The good news is that we have a built-in control, and it’s called the mind. Funny enough, the two boxes of tefilin affixed daily to the head and the arm have a lot to say in this conversation. Find out how in this lesson. As we turn our eyes to a new year, the liturgy and practices of Rosh Hashanah emphasize time and again how needy, how humble, and how downtrodden we are. Why the depression? The story of an emigrating Babylonian sage seeking new heights gives us a lot of food for thought about our position in lifeâ€"and what it takes to catapult to ever greater peaks. Of course we need shoes. It’s no fun walking barefoot over rocks, or around the kitchen after that glass pitcher shatters. Shoes are just a part of life. But all of a sudden, when it comes to holy days, places, and times, shoes are literally flying off our feet. What’s behind these mandated shoe removals? Avraham serves angels and is rewarded with a sukkah. We sit in a sukkah and are to be rewarded in messianic times with a sukkah of Leviathan skin. The gentiles kick their sukkah when it’s too hot, and the Jews calmly walk out. Discover the meaning behind this bizarre sukkah medley. One time $25 book fee. Suggested Donation: $10 per class. 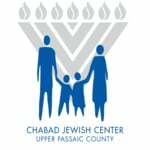 Checks can be made payable to Chabad Jewish Center and mailed or brought to the course.